The Lone Star State is an incredibly diverse place full of charming towns and bustling cities, each of which offers a whole range of unique experiences. Want to be a cowhand? Head to a Dude Ranch in the heart of West Texas. In the mood for some wine? Visit the Texas Hill Country, the wine capital of Texas. Are you a fan of history? 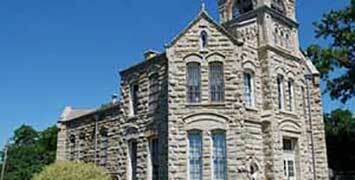 Many Texas destinations are full of historical homes, buildings, and churches dating as far back as the 17th century. Looking for Texas travel ideas? Click on the city you would like to visit for information on the things to do, attractions, and events that make it a one-of-a-kind destination in the Lone Star State. A charming southern town with humble beginnings dating back to 1845. Here, visitors will find historical sites, antique style shopping and family-friendly adventures. Enjoy small-town charm and authentic Texas adventure when you visit Austin County, home to the cities of Bellville, Sealy, San Felipe, Industry, Wallis, and more. Visit Balcones Heights in Central San Antonio and choose from two hotels close to Dave & Buster’s, Wonderland of the Americas, and Bijou Cinema Bistro. Nestled in the Chihuahuan desert lowlands between the rugged mountains of Big Bend National Park and big Bend Ranch State Park like the attractions, facilities and services within the communities of Lajitas, Terlingua and Study Butte in South Brewster County. 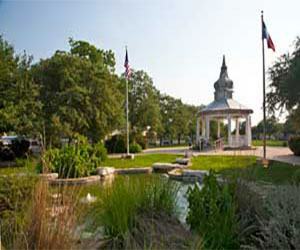 Cameron is a charming city in central Texas with beautiful parks, rich history, excellent dining, and friendly people. Visit Hometown, Texas today! Experience Castroville, a quaint Texas town with a unique French heritage nestled on the bank of the Medina River in the gorgeous Texas Hill Country. Grab your gear and let’s go into the Wild Side of Chambers County to fish, cycle, camp, bird, hunt, paddle, or maybe hike! This is a unique area on the Upper Texas Coast – a nature lover’s dream destination for everything from waters sports to wildlife photography. Visit Corsicana for its romantic red-brick streets, remarkable museums, and top-class shopping and dining, all located just an hour's drive from Dallas. Visit Cuero, Texas and experience one of the “Coolest Small Towns in America” by enjoying the Guadalupe River, Texas wildflowers, and Cuero Turkeyfest. Dallas, Texas offers visitors a unique combination of attractions, accommodations, dining, nightlife, sightseeing, shopping and hospitality not found anywhere else. Tourist and visitor information. Welcome to the Dallas/Fort Worth Area - the Destination for Great Family Fun! You are sure to enjoy exploring the region and discovering hidden treasures and fantastic sights at every turn. Come experience the D/FW area for yourself and take home a lifetime of memories. Nestled in the heart of the Davis Mountains of West Texas, Fort Davis is a place of majestic beauty, where wildlife abounds among the high desert vastness. Due to its low humidity and a mild climate, Fort Davis is a great place to visit year round. Located in northeast Dallas County and just minutes from Downtown Dallas; Garland, Texas offers a unique combination of family friendly entertainment and outdoor activities. Explore Texas history in Gonzales, the birthplace of the Texas Revolution. Museums, historical sites, and beautiful scenery make Gonzales a great place to visit.Eighteen men from Gonzales.Gonzales holds a unique place in Texas history as the site of the firing of the first shot for Texas independence. An unexpected jewel awaits you nestled in the heart of the Brazos River Valley alongside Lake Granbury. For romance, a family get-away, or groups, Granbury, Texas offers a wide variety of unique accommodations, attractions and entertainment. Get Away to Granbury... Your Not So Far Away Getaway. The real beauty of the area lies in the location itself; convenient enough to get here in minutes, but far enough that you're surrounded by nature for miles and miles in every direction. It’s the oil capital of the world, one of the wealthiest cities on the planet and the fourth largest city in the U.S. - Houston, Texas is a great place to work, to live and an unforgettable place to visit. The breathtaking charm of the Jacksonville area is reflected in the lives of the people who live here. Each part of the year brings new and exciting activities where visitors are welcomed and entertained. Come stroll through our neck of the woods, where majestic pines and blue lakes are the answer to everyday worries and cares. Located in Central Texas at the edge of the Texas Hill Country, Kyle and its scenic Blanco River setting offer a charming place for visitors to enjoy old-town grace with modern amenities. Nestled between Austin and San Marcos, this community with its unique neighborhoods, live music venues, restaurants with culinary delights, and historical sites will give you that hometown hospitality feeling of yesteryear. Come on out and see all of Kyle's charms. Visit La Porte, a quiet coastal town just east of Houston home to the San Jacinto Battleground State Historic Site, Battleship Texas, and a charming Main Street. A jewel nestled in the East Texas forest, surrounded by acres of towering pine, oak, and magnolia dotted with delicate dogwood, Polk County is full of hidden treasures awaiting your discovery. Discover breathtaking outdoor adventures, a picturesque historic downtown area, and a thriving arts and culinary scene when you visit Lufkin, Texas. The Gateway to Big Bend, Marathon is a charming town in West Texas with luxurious and diverse accommodations, natural beauties, a thriving arts scene, and more. Marfa is in an area that has been called one of the last American frontiers. It is situated at an altitude of 4,830 feet above sea level in a semiarid region with many dry streambeds that the summer thunderstorms fill and further erode. McAllen, in Texas Rio Grande Valley, is noted for its subtropical climate conducive to many outdoor activities. Thousands of Tourists visit each year especially “Winter Texans.” It’s a worldwide destination for birders, nature photographers, and other nature related visitors. McAllen is also a growing city with an increasing cosmopolitan ambiance. Visit Nacogdoches, the Oldest Town in Texas, to see stunning historic sites, stroll the beautiful historic downtown square, and revel in its small-town charm. Originally settled in 1822, the site of present day Navasota is rich in both history and historical assets. Historic resources in Navasota are important to the quality of life by giving it a sense of place, character, and individuality. World-class art, the breathtaking beauty of the Texas Gulf Coast, and the unmistakable appeal of a bygone era define Orange, the "Gateway of Texas." Howdy ya’ll and welcome! Things are really Hot in Pecos – we now have lots of comfy accommodations, our historic destinations are hopping, our visitor amenities are really cool and helpful, and our attractions and events are fun to visit! Port Lavaca is a charming seaside community with world-class saltwater fishing, serene beaches, excellent dining, rich history, and fun annual events. Portland's location on two bays provides excellent fishing, boating, sailing, swimming, water skiing and kite surfing. Ten square miles of Texas coastal city is located seven miles from downtown Corpus Christi, fronting the Corpus Christi and Nueces Bay, and is accessible by two major highways- US Highway 181 and State Highway 35. Travel to the enchanting city of Rosenberg, Texas, and you’ll have fascinating history, metropolitan fun, and outdoor adventure right at your fingertips. This historical treasure is at once charming in its authenticity and an exciting place to experience fully. What could be a sleepy, don’t blink or you’ll miss it point in the road has become a destination and center for arts and diverse fun. San Elizario, Texas is located just 22 miles southeast of downtown El Paso and 25 minutes from the El Paso International Airpot. El Paso is rated the safest city in the United States. A visit to San Elizario is a must when you are either passing through El Paso or staying for a visit. Great shopping, fantastic dining, a wealth of hotels, and a convenient location near The Woodlands and Conroe makes Shenandoah a first-rate Texas destination. Sherman is an ideal blend of town and country: First-class services, shopping, recreation and accomodations; all at a leisurely pace and welcoming atmosphere. Whether your focus is commerce, education, culture, recreation or just a great place to settle down, Stephenville is a capital idea. Stephenville is known as one of the country's most desirable places to live and earn a living. In fact, it is included in Norman Crampton's The 100 Best Small Towns in America, published by Prentice Hall. Uvalde County, also known as the Texas Hill Country River Region, boasts gorgeous scenery, exciting adventuress, and events that are fun for the whole family. For avocational historians it does not get much better for early Texas History than West Columbia. West Columbia and the surrounding area offer many historical treasures. Nestled in the beautiful Hill Country, Woodcreek, Texas is just 3 miles north of Wimberley, 40 minutes Southwest of Austin, and 50 minutes from San Antonio.